Back-to-school is a busy time for everyone, whether you’re the one hitting the books, are getting kids to school, or are simply caught up in the hustle and bustle. But that doesn't mean it's time to skimp on skincare! Just because fall is an in-between season doesn't mean that your skincare shouldn't be targeted and tailored. Take advantage of the season to undo summer's sun damage as well as prepare your skin for the winter months to come. Fall weather is often characterized by a drop in humidity. Additionally, fall is the weather where we bundle up and turn on the indoor heat. All of this is a recipe for dry skin, chapped lips. Some may even experience flare-ups of flaky skin, eczema, and dry skin. Do you still have dull-feeling skin? Try these fall treatments! Most of us remember to slather on the SPF during Kelowna’s summers. However, overcast fall days and shorter sunlight hours can make even the most diligent skincare enthusiast slack off in their routine. Sometimes, we all go a little overboard in the summertime--forgetting to apply sunscreen or laying out on the beach can result in stubborn freckles or sun spots. Microdermabrasion and chemical peels are a great option for many patients who wish to smooth out their skin tone and are also great at targeting fine lines and wrinkles. Exfoliation techniques are also a useful way to fix up any clogged pores, which tend to arise over the summer. 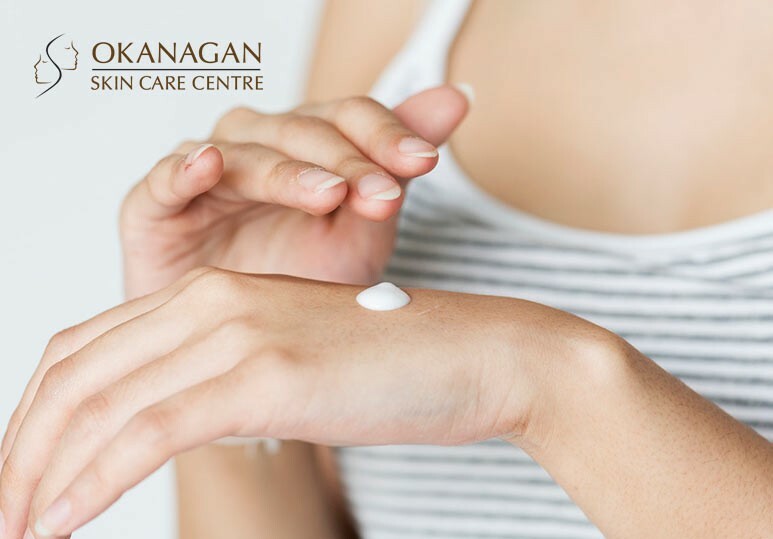 Our Kelowna-based skin care professionals help teach our patients the best at-home exfoliating techniques for their needs. The cool weather may have you reaching for comforting coffee drinks rather than a refreshing smoothie. However, it’s important to remember that even though the weather is cooler, you need to remain hydrated. If you tend to favour less hydrating drinks when you’re out, carrying a refillable water bottle in your purse can help you build a healthy habit. Fall is a time when many of us revamp our wardrobe and bring out darker hues in our makeup to match. But while shopping for the season’s hottest trends, it’s important to remember how different makeup formulas can affect your skin. We recommend always doing a swatch test or starting with a sample size when trying a new line. Additionally, while mineral products may come at a slightly higher price point, we definitely recommend them to anyone with highly sensitive skin or who wants to cut down on filler ingredients. To learn more about which skincare products are best for you, get in touch with our team of experts. We'd be happy to help you find the right products for your needs. To book a consultation at our clinic, call 250-868-9290 or send us a message through our contact form!